A conspiracy is an agreement between two or more persons to commit a crime. A conspiracy requires that each person in the conspiracy have the specific intent to achieve some criminal objective. It is not necessary that each person in the conspiracy have the same exact criminal objective, some commonality is enough. For example, if John agrees to deliver drugs for Larry, John and Larry have conspired to sell drugs. If Steve is Larry’s drug supplier, then John, Larry and Steve are all part of the same conspiracy. This is true even if Steve and John haven’t agreed to anything with one-another. Some states require that an overt act be made in further of the conspiracy, however, Michigan law does not require that an overt act be made. The conspiracy is a separate offense and does not merge into the completed crime. Michigan requires an overt act for some offenses, like attempt for example. In order for a criminal defendant to be convicted of conspiracy, it is a basic requirement that there are at least two “guilty” minds who intend to conspire and achieve the criminal objective at issue. Therefore, if a criminal defendant “conspires” with an undercover police officer in order to achieve a criminal objective, there is not a conspiracy chargeable under law. This is because the undercover police officer is not really agreeing to anything, he or she is just pretending. 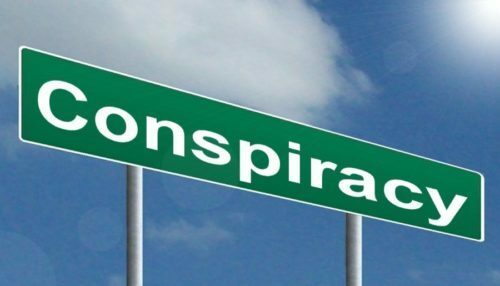 A person found guilty of conspiracy can be held liable for crime committed by other co-conspirators if the other crimes were committed in furtherance of the conspiracy objective and if they were foreseeable. If you still have questions for a Michigan criminal defense attorney, feel free to call LEWIS & DICKSTEIN, P.L.L.C. for a free consultation and confidential case evaluation. Please call us at (248) 263-6800 or complete a Request for Assistance Form and a highly experienced criminal defense lawyer will promptly contact you.